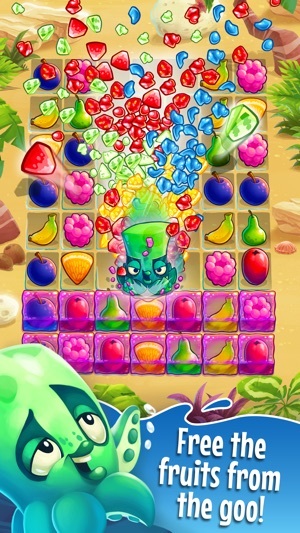 Famous for those lovable Angry Birds, Rovio has filled this match-three puzzler with its own cast of adorable creatures. In Nibblers, you defeat little lizards (and some giant bosses) by matching nearby fruit, injecting a fun battle mechanic into every level. Special attackers and environmental obstacles spice up the family-friendly action, and everything looks gorgeous—from the characters to the lush backdrops. 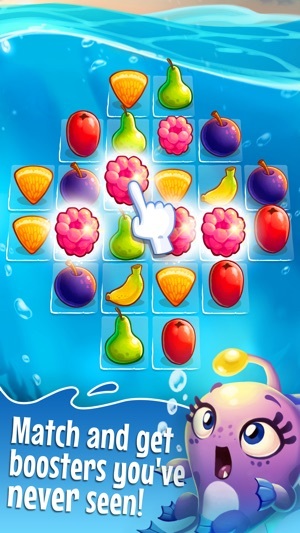 Fruit nibblers is the older equivalent of the new angry birds match. However it does not have much interactive elements and isn't as interesting as AB match. 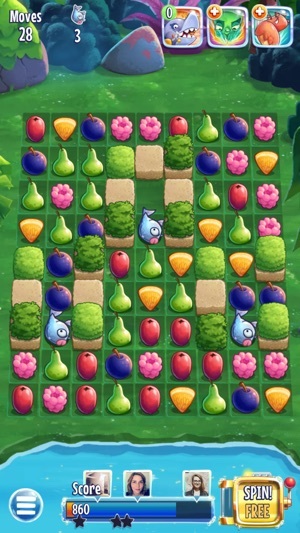 Just a basic match game with hundreds of levels, nothing else. 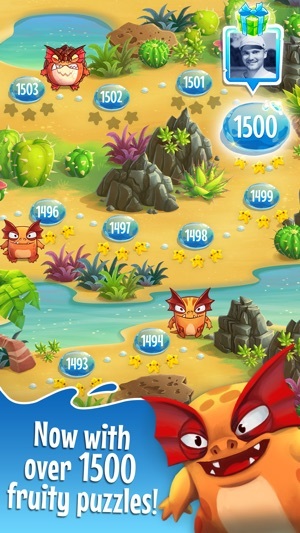 There is a few glitches that Rovio never fixed despite making updates for it. All I can say is that Rovio put this game on the back burner and barely ever touches it. Now AB match is the newest matching game and it is more interactive as well. It's much more fun than nibblers in my opinion. 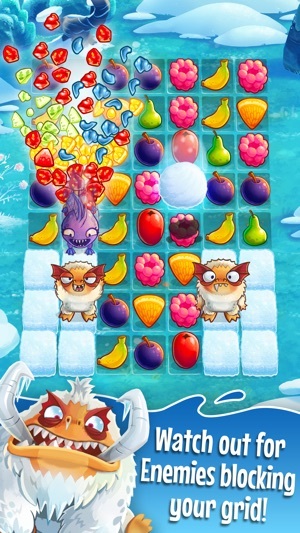 Despite nibblers have gorgeous art and calm soothing music to calm your nerves after losing every single time on that one level, there is still some things that needs to be worked on. Not only that, but there needs to be more fun features in nibblers that make it unique that any other matching game. Since AB match, I don't play nibblers anymore there's nothing new to nibblers, it gets old fast. It was fun while it lasted. My sister convinced me to download this "stupid game" as I was first calling it but then I couldn't stop playing it! I love it, on the go, in the house, bored, not bored just wanna play it! I wrote this about a year ago and never submitted it! What I noticed after all this time is there is no way for you to gain gold coins unless you pay for them! Why is it that we can’t share /give coins to one another or gain them after beating a board or even a whole board? I’ve had 4 coins left from however many we start with for the longest! Every time I’m presented with “playing on” for 9 coins I can never do so because I still have 4 coins for a whole year! PLEASE do something about this because that is crazy. We should be able to play and earn coins as well as nibblers!